Hop in Ukrainian tradition symbolizes development, youth riot, fertility and love. Also hop, as other creepers (like bean and peas) is a symbol of war, bravery and mind. 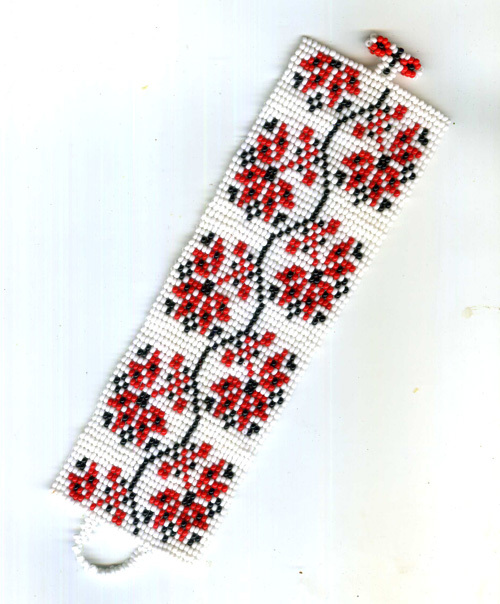 The pattern includes a photo of the finished bracelet, 6 graphs and a detailed instruction for the clasp. The rows are numbered. The repeatable area is shown.